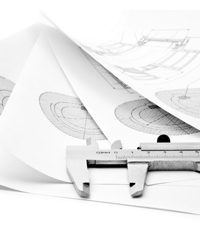 Unlike other organizations that require customers to provide detailed product specifications and requirements, our approach to custom engineering begins with a basic question—what problem can we help to solve? The unique solutions that our engineering team can provide, coupled with our rich technology IP, not only enhances the product concept, but also delivers greater competitive advantage for our partners. Quality Manufacturing – High capacity, 24/7 production capabilities, all within a stringent ISO 9001:2015 certified facility. A team of skilled quality technicians utilizing statistical process and quality control practices ensure greater production efficiencies and product performance. sub-component kitting, along with custom packaging and labeling. In-house Molecular Testing Lab – Lot testing of products for certification, including RNase, DNase, nucleic acid and endotoxin detection tests. For more information regarding custom engineering, please contact our customer service team.